An accident is simply an incident which no-one could have reasonably foreseen and for which no-one should be held responsible. No-one will win a case against someone who they may think is responsible for an injury, if that injury has been caused by an accident. Negligence is defined, in short, by whether you do something which you can reasonably foresee will injure someone else who is likely to be affected by your actions, or your lack of action. We all hold some form of insurance – household, car, medical, holiday… the list is endless. We all seek protection, but do you really know what you are buying and have you read the small print? There are over hundreds of thousands of needless injuries each year which can put many people’s lives on hold as they try to recover and return to the life they had before the injury. If you find yourself in the position of recovering from injury you may have insurance cover that could help you through this difficult time in your life. This insurance is one way of funding your claim for personal injury. In addition, a solicitor may offer conditional fee funding (no win – no fee) or trade union funding may be available to you. A personal injury lawyer will help you consider and investigate the funding options open to you. Legal expenses insurance is an optional extra added to your insurance policies. This could be your motor insurance, household insurance, such as buildings and contents cover, or holiday insurance. There can also be similar cover through bank accounts, credit cards and organisation/association membership such as the Caravan Club. Often you will not know you have the cover until the policy is checked in detail. You may also hold cover through the policy of another member of your household or via your trade union. You are entitled to independent legal representation and freedom to choose your solicitor. If cover is included on any one of the types of policy listed above it will be detailed in the schedule of insurance. If you are in any doubt, take your policies with you to your initial interview with your personal injury solicitor who will be able to advise you. What is the total amount of legal cover provided? This depends on individual policy wording. Again this depends on individual policy wording. You will need to read the small print. Can I appoint a local solicitor of my choice or will my choice of legal and medical experts be restricted? Some policies restrict your choice of legal representative or even the way in which you conduct your claim. 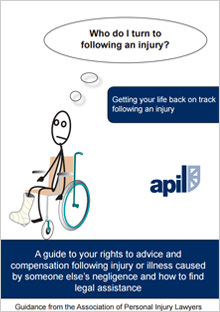 Even if you hold legal expenses insurance it may not always be suitable to use when you are injured. 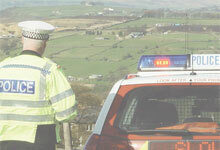 Your solicitor will be able to help you decide whether your policy is suitable for the claim. Are expenses covered (medical report fees and court fees, for example)? Was the policy in force at the time of the accident? What are the terms and conditions of your particular legal expenses cover?